The Food Safety and Standards Authority of India (FSSAI) has recently announced the Draft Food and Standards (Organic Food) Regulations, 2017, aimed at curbing sales of fake organic products. This regulation, when notified, will require that products sold in the domestic market as “organic” be certified by either of the two present certification systems: the National Programme for Organic Production (NPOP), initiated by the Ministry of Commerce and Industry, or the Participatory Guarantee Scheme (PGS), led by the Ministry of Agriculture. The difference between the two: the NPOP was designed for the export market and involves third-party companies which verify organic status, while in PGS, a group of farmers work together and guarantee that everyone in the group is practising organic farming. The draft, however, exempts ‘unprocessed’ organic food sold directly by a farmer or a farmer organisation to the end consumer. In other words, this regulation is only applicable to ‘processed’ organic food and branded ‘unprocessed’ organic food sold by a company. On the face of it, this looks like an excellent regulation, with a promise of protecting the rights of consumers. But a closer analysis shows that it cannot curb sales of fake organic products; in fact, in my view, it might do more harm than good to the organic farming movement in the country. The demand for a regulation on organics itself is suspect, as it is led by the Crop Care Federation of India (CCFI), an association representing pesticide manufacturers and formulators! In December 2014, CCFI released a report, prepared by the Indian Agricultural Research Institute (IARI), on pesticides in organic vegetables from Delhi. Interestingly, the IARI itself has not made this report public yet. As per available information, the IARI tested 150 vegetable samples from one organic store in Delhi and found traces of pesticides in 50 samples; in 10 of these, the levels were above the maximum residue limit (MRL). The Altitude Store—the retailer from where samples were collected—identified a certified farm in Sonipat, Haryana as the source of the vegetables. The farm was certified by Ecocert, one of the largest NPOP certifiers. To begin with, sampling from just one store and from one city is scientifically untenable. Secondly, finding small traces of pesticides in organic vegetables is not a surprise, simply because pesticides are present in our water and air, and will find their way into a produce even if the farmer is practising organic farming. This is why in many developed countries, a tolerance limit is prescribed for the presence of pesticides in organic products. Thirdly, the 10 samples in which levels exceeded the MRL were sourced from a certified farm. So, certification doesn’t seem to be an answer to curb sales of fake organic food. Let us accept that that there are some fake organic products in the market. How big is this problem is difficult to ascertain till we have a comprehensive all-India study on this issue. Secondly, a fake organic product is not a case of safety, but that of ‘misbranding’ or ‘misleading advertisement’. Fake products are as safe or unsafe as any other products sold in the market. The question, therefore: Is certification required as per the Food Safety and Standards Act to tackle misbranding? The FSSAI has a clear definition of and penalty for misbranding of food and misleading advertisements. The penalty for misbranding is up to Rs 3 lakh; for misleading advertisement, up to Rs 1 million. Nowhere in the Act is it specified that to prevent misbranding or misleading advertisement, a product has to have mandatory certification. So why this special favour for organic products, when certification is not required for other products, even the ones that are genetically modified? So, how this regulation will impact farmers? To understand this, one has to understand the certification itself. Firstly, both NPOP and PGS are process-based certification systems. They look at the processes and practices of farming and food-processing; testing food for pesticide residues is a limited part of the scheme. NPOP obviously is far more expensive than PGS and therefore, preferred by big farmers, companies and exporters. Under PGS, only the food processed by the PGS group of farmers themselves or their duly authorised federations can be labelled as ‘organic’. The problem is PGS groups are run by small farmers and there are hardly any PGS groups or federations that directly process organic produce. They, therefore, sell their produce to other processors for value addition. Under NPOP, only the produce of a certified NPOP farm can be processed by a certified NPOP processor and sold as ‘organic’. The NPOP processor cannot take fresh produce from a PGS farmer, process it and sell it as ‘organic’. The implication of the draft regulation, therefore, is that it will make it rather difficult for small farmers, who are either PGS certified or non-certified, to sell their produce for value addition. They will be forced to sell fresh produce directly to consumers or get NPOPcertification. If a small farmer gets NPOP certification, it makes his product more expensive and hence uncompetitive in the market. If he sells only fresh produce, his value addition is low. The draft regulations, therefore, will dissuade small farmers from practising organic farming. What it will certainly do is promote companies that do NPOP certification. The Indian organic farming movement is witnessing a revival, largely led by small farmers. More people in the domestic market feel connected to the word ‘organic’ and have started buying it. All this has happened without any support from the government. In fact, in 2017-18, the outlay on organic farming is a mere Rs 350 crore under the governments flagship Paramparagat Krishi Vikas Yojana; the annual subsidy for chemical fertilisers is over Rs 70,000 crore! In a scenario where the government should be promoting more small farmers to take up organic farming, the FSSAI’s regulation is going to put a roadblock for them. The logic of certifying organic food itself is perverse. Instead of making laws that require mandatory labelling of foods grown with pesticides, chemicals or GMO, FSSAI is asking positive attribute of ‘organicity’ to be certified. If the FSSAI is so anxious about fake organic products, it should set standards and use its ‘misbranding’ provision to penalise them. Like it does for every other food product. This would be the right way ahead. NDA governments [past & present] are anti-farming and pro-corporate. We can not expect much from such governments. Even in the earlier stint, they increased the minimum support price very little during the entire period. And now also the same. During the earlier stint fertilizer imports cut down drastically and thus reduced fertilizer subsidy drastically. From the starting of the NDA working for GM gaints favour, this was same in earlier NDA time. The insurance was introduced to favour private insurance companies. Lakhs of crores were allocated to 100 cities programme, ganga rejuvination, roads, etc where the money goes directly in to political pockets. 1. The author of the article says, "....a fake organic product is not a case of safety, but that of ‘misbranding’ or ‘misleading advertisement’." It is not merely a case of misbranding. Selling an 'apple' in a bag branded as 'Bananas' is misbranding. But selling, knowingly, a 'rotten apple' or even a 'toxic apple' in a bag branded as 'Bananas' is not merely misbranding. When a buyer consumes a supposedly 'organic' product, he expects to be not consuming any chemicals at all. Selling a non-organic eatable as 'organic' is surely more that a simple breach of trust. 2. The author of the article says, "The draft regulations will dissuade small farmers from practising organic farming "
But, also according to the author, "...under NPOP, only the produce of a certified NPOP farm can be processed by a certified NPOP processor and sold as ‘organic’. The NPOP processor cannot take fresh produce from a PGS farmer, process it and sell it as ‘organic’." This implies that a non-NPOP-certified farmer cannot anyways sell to an NPOP processor, irrespective of the draft regulation. 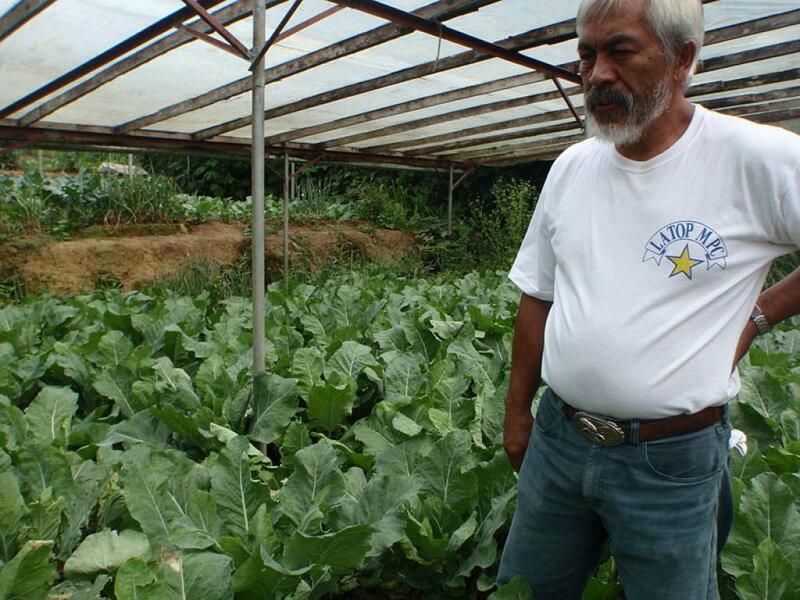 So, how does the draft regulation dissuade small farmers from practising organic farming? The write-up appears to be guided by vested interest, just like it accuses the said regulation to be.